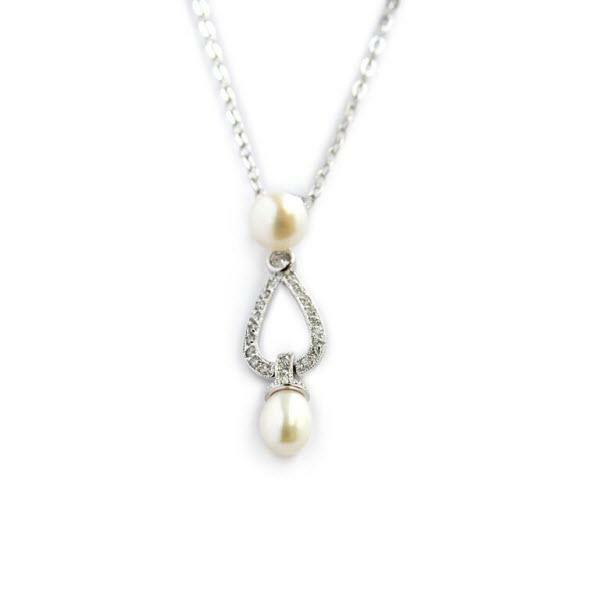 This lovely oval necklace with 25 1 point czs and 3mm stone on top and pearl on top and bottom will look amazing on you. It is the perfect accessory to compliment any dress or suit. Ours comes in sterling silver, you choose 16 or 18 inch and you can upgrade to gold plated or rose gold plated.